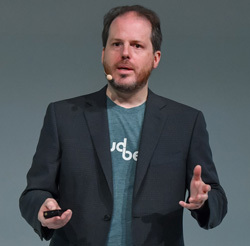 At the DevOps World and Jenkins World conference, Enterprise Times caught up with Sacha Labourey, CEO, CloudBees. As Jenkins has grown, CloudBees has found itself supporting both on-premises and cloud-based solutions. This is never easy. It makes it hard to have a generic code base and architecture. Labourey admits this was a challenge for Jenkins. He believes that you need to be seen by customers as being native on the platform on which you are operating. In this case, it means multiple code bases which increases the workload. A year ago CloudBees shifted to a cloud first approach. This meant that new features would be put into the cloud products first. It also shifted to Kubernetes as part of its infrastructure. This introduced the idea of Kubernetes first. The result was Jenkins X which is now shipping and successful. 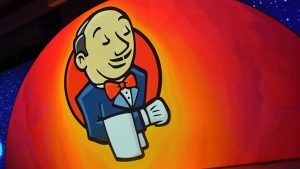 Enterprise Times talked with James Strachan At the CNCF conference earlier this year about Jenkins X.
CloudBees took the decision to wrap the core of Jenkins inside its cloud first approach. Third-party developers are still able to run their applications. It also reduces the decision making for them as to what version of Jenkins to support. Plug-ins will also work in cloud and on-premises. This is important as customers, even those who thought they wouldn’t go to cloud, are now adopting it. Labourey is seeing customers realise that cloud is more than just elastic resources. It is a destination and that means that apps have to be properly designed and architected for the platform. Customers want to migrate their applications, especially those that have been well designed, to the cloud. Kubernetes is core to the future of CloudBees. It has certified across a number of platforms in a short period of time and that will help CloudBees accelerate adoption across new customers. To hear more of what Labourey had to say listen to the podcast. Previous articleAs the financial sector embraces cloud technologies what are the critical factors for success?